This year's Singapore Toy, Game and Comic Convention (STGCC) organizers have announced through a press release that seiyuu (voice actor) Tomokazu Sugita will make an appearance during the event. Tomokazu Sugita is best known best known for voicing many memorable roles in various Japanese anime and game titles – from Gintoki of the popular Gintama, to Kyon from Haruhi Suzumiya and Joseph Joestar from Jojo’s Bizzare Adventure. He also brought to life Ragna the Bloodedge from fighting game BlazBlue, which spawned an anime series. 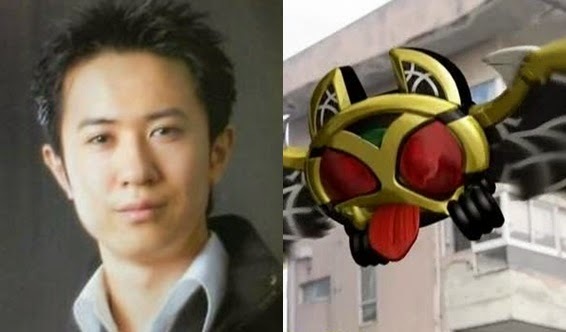 In the world of tokusatsyu he voiced all three of the known male Kivat-bat family members: Kivat-bat the 3rd, the 2nd, and the 4th. Aside from Tomokazu Sugita, and artists Cameron Stewart and David Mack of the much awaited Fight Club 2 will also make their appearances. STGCC 2014 takes place on the 6th and 7th of September at the Sands Expo and Convention Center in Marina Bay Sands.